The perception of threat is the primary cause for conflict escalation. The most important word in the previous sentence is perception. If you have no intention of causing the other person harm (either physically or emotionally) and they perceive that you do intend to harm them, your real intentions do not matter. With regard to the affect your actions have on the conflict, it only matters that they perceive you to be a threat. The leverage point for de-escalating the conflict is their perception, and the strongest impact you will likely have on their perception is your tone and body language. If your words do not match your tone and body language, people will believe your tone and body language before they will believe your words. To become a master of conflict resolution, you need to learn more than a basket of tips, techniques, strategies, and phrases. You need to develop the ability to observe your tone and body language to identify inconsistencies between the words you are using and the non-verbal messages you are conveying. When you find yourself in a conflict and you are working to resolve it successfully, choose non-threatening tones and body language so that your words of resolution will match the non-verbal messages you send. 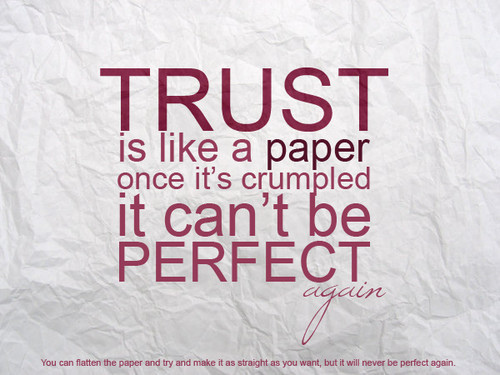 Like so many words we use commonly, trust has many layers of meaning. While most of us have similar general perspectives about what it means to trust another person, there are some subtle differences in how we view this simple word. Transactional trust refers to the trust we have that another person will do what they said they would do or complete and assigned task. Relational trust refers to the trust we have that another person can listen to and understand our emotional state without passing judgment, criticizing, sharing it with others, or using the knowledge to somehow harm us. At different times and in different situations, both components of trust can come into play in our interactions and relationships with other people. While most people experience and rely upon both trust components as they make decisions about how to interact with others, there are subtle differences in the priority that people place on the two components as they make decisions. 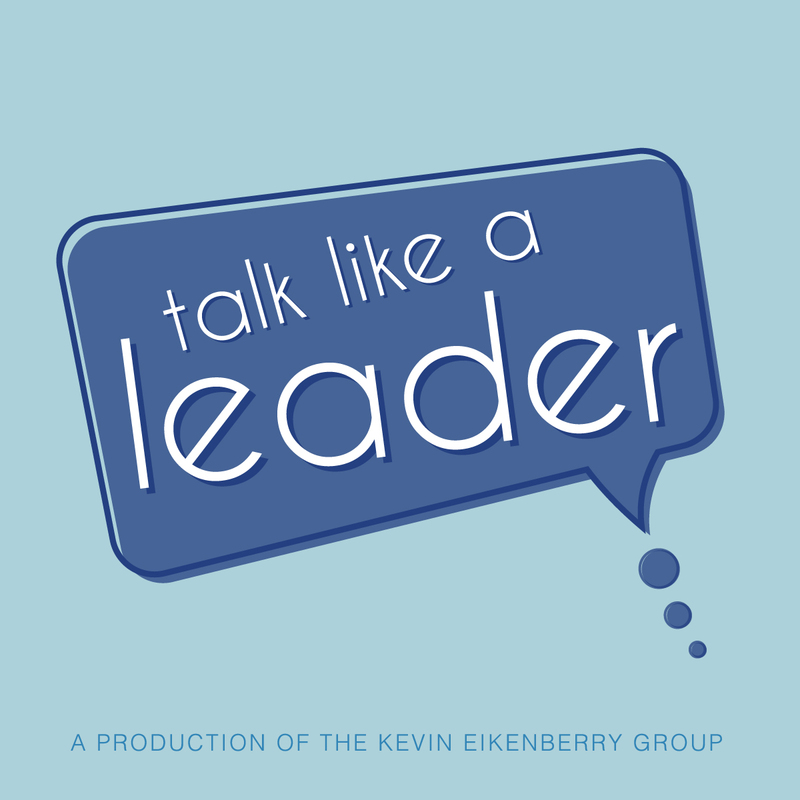 Leaders who focus heavily on task issues often place a higher priority on transactional trust – do people follow-through on commitments and complete tasks – than they do on relational trust. As a result, they can often find ways to stay engaged and working with a person that they do not “like” because they trust that the person will get things done. Leaders who see the world through a relational filter often place a higher priority on relational trust – do people act in ways that build and protect relationships – than they do on transactional trust. And, they can often stay engaged and working with a person they like even if the other person has challenges with meeting deadlines and completing tasks. Likewise, team members with a task focus often place a higher priority on transactional trust between them and their leader than they do on relational trust. And, team members with a relational focus place a higher priority on developing relational trust with their leader. As a leader, you need to understand both how you and your team members prioritize the two sides of trust so that you can focus your trust building efforts in the area that will create the greatest immediate benefit. To build trust with task-focused team members, focus on task completion and follow-through issues first and relationship issues second. To build trust with relationship-focused team members, focus on showing support and building a relationship first and task completion second. Both forms of trust are important, and building high levels of both will contribute to creating a high-performing, high-functioning, results focused team. To get the greatest results in the shortest amount of time, know your team members and focus first in the area of greatest concern to them. Your Now Step: Think about the people you lead. How do they view trust? How have you been working to build trust with them? Does your approach fit their perspective? If it matches, good job! If not, adjust your approach to better connect with them. Conflict Rock Stars are almost always in control of their responses. They know how to communicate calmly and assertively in nearly every situation. Their response seems easy and effortless to the outside observer. 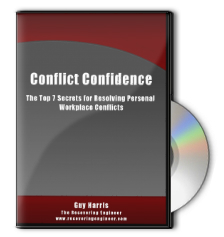 People who are Conflict Confident demonstrate appropriate responses to most conflicts. They respond in ways that lead to resolution rather than to escalation. Even though they might feel some unease or discomfort in conflict, they engage confidently and lead towards resolution. The Conflict Quesy person either gets a knot in their stomach or a little flash of anger that causes them to be a little too passive or a little too aggressive. In fact, they might switch between to0 aggressive, too passive and confident responses in the same encounter. In general, they do pretty well in conflict, and they respond in ways that feel like they will lead to resolution. However, they are often confused and frustrated when their responses unintentionally escalate conflicts. Conflict Chickens run from conflict almost every time. They avoid confrontation and conflict to the point that they fail to engage even when needed to resolve the situation. Their failure to engage often leads to escalation rather than deescalation because the issues causing the conflict remain unresolved. Conflict Coercers are on the other end of the spectrum from Conflict Chickens. They often dive in to conflict and push for resolution in a way that inflames rather than calms the situation. They sometimes think they have resolved a conflict when they drive a Conflict Chicken to silence or out of the conversation. I did not derive these categories from a sophisticated and comprehensive statistical analysis. So please, don't over read them. They are simply built on my observations from working and talking with lots of people about their responses and approaches to conflict and then observing how the conflicts develop and end. It seems that most people are in the Conflict Quesy category. There are also a pretty significant number of Conflict Chickens and Conflict Coercers. There are fewer Conflict Confident people, and fewer still Conflict Rock Stars. The good news is that no matter where you start, you can become Conflict Confident. With enough study and practice, you could even become a Conflict Rock Star. The growth in your conflict resolution skills begins when you learn to accurately diagnose and read conflict situations and how to respond appropriately — confidently — to the conflict. 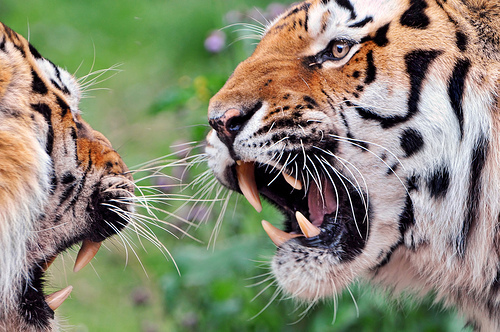 Conflict Confidence is a learned skill. It is not a natural talent. The first part of the statement implies that people see the general value and validity of the approach, principle, or technique that we are discussing. So, they are not really disagreeing with me. They are saying that they don’t see how to make it work in their situation. When you find yourself in an environment that is driven by rigid work rules (whether mandated by law or contract), controlled by a boss that you have trouble persuading, or full of people who have a history of being uncooperative; it is easy to lose hope and to begin feeling helpless. You do not have to stay in that mental and emotional state. Even if the work rules, pressures from your boss, or level of cooperation from your team scream at you about the things that you can’t do, there is still something that you can do. There is always something that you can control. 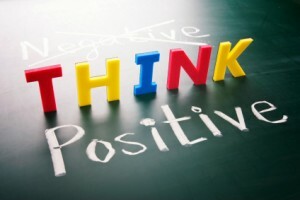 You can control your words, your actions, and your attitude. Focusing on what cannot be done is tempting and, in some ways, personally satisfying. It is easy to fall into the trap of letting the things you cannot do determine your actions and your attitude. If you want to make a positive impact on your organization, fight that temptation with everything you’ve got. Choose to focus on what is in your control. Choose to focus on what you can do. Choose to make the difference you can make. Choose to work on possibilities rather than limitations. When you make that choice, you take control of your situation. When you take control of your situation, you create hope and positive expectation where there was frustration and hopelessness. While the concept is simple, it is not easy. This choice takes focus, effort, and concentration. While it sometimes requires you to “put blinders on” as you work through the day, the idea is not to ignore problems and frustrations. 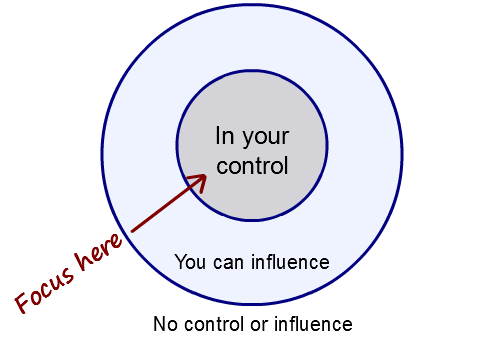 The idea is to force yourself to focus on the behaviors, interactions, attitudes, and tasks that fall inside your circle of control. When you do that, you can take positive actions to make a difference rather than get overwhelmed and driven to inactivity by things beyond your control. Focus on what you can do rather than what you cannot do, and you become a victor over circumstances rather than a victim to them. Your Now Step: Think about a project, relationship, or process in your organization that has been frustrating you recently. Identify at least one positive action you can take in the next 24 hours to improve the situation even if others do not cooperate. Take that action.